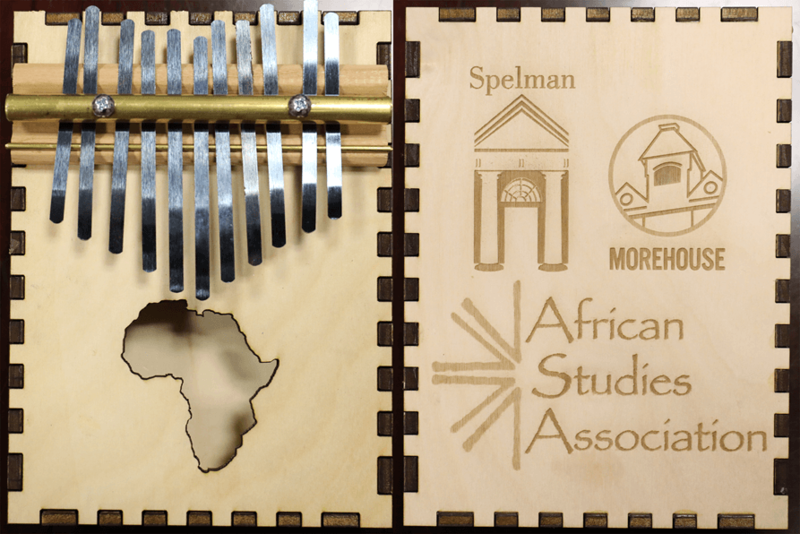 More than 30 Morehouse and Spelman students will present research, exhibit self-made instruments, offer musical performances, facilitate workshops, and provide photography and videography at the 61st annual meeting of the African Studies Association. Taking place Nov. 29-Dec. 1 at the Atlanta Marriott Marquis, the ASA annual meeting is the largest gathering of Africanist scholars in the world. With an attendance of approximately 2,000 scholars and professionals, this year’s theme focuses on Energies: Power, Creativity and Afro-Futures. The conference features more than 300 panels and roundtables; plenary events with keynote speakers; an awards ceremony and dance party; institutional and organizational receptions and meetings; an international exhibit hall; and screenings of award-winning movies from Africa, and/or by African producers. Wednesday, Nov. 28, 6:30 p.m.-9 p.m.
Thursday, Nov. 29, 7:30 p.m.-11 p.m.
Thursday, Nov. 29, 8:30 p.m.-10:15 p.m.
Friday, Nov. 30, 2 p.m.-3:45 p.m.
Friday, Nov. 30, 4 p.m.-5:45 p.m.